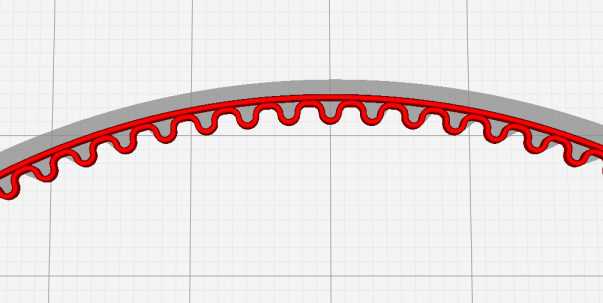 For a few projects now, I’ve needed closed timing belts of a specific length. Rather than buy them and pay high local prices, or wait for a month for them to be delivered from overseas, I’ve started 3D printing them using nylon. 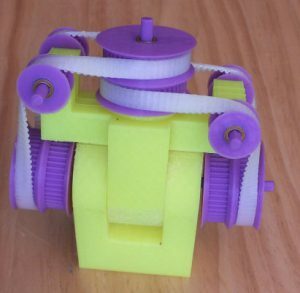 I used nylon to print the flex spline in my harmonic gearboxes, so I new it was tough and flexible. 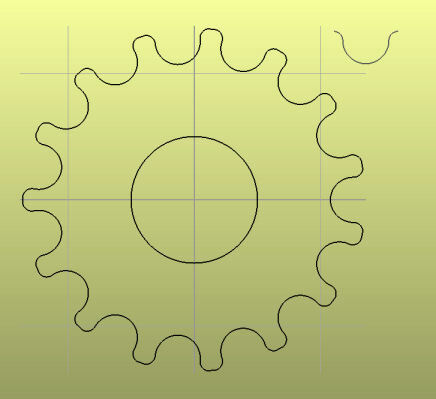 I use Gearotic Motion to create 2D dxf drawings of gears and pulleys, then important them into Alibre Design to create the 3d model. The drawing contains the whole pulley, and a single tooth, which I import into Alibre. 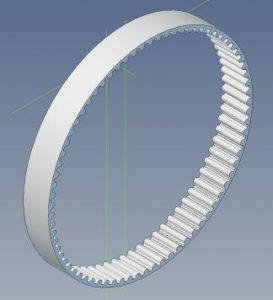 In Alibre, I create the belt (a hoop) of the diameter I need (calculated from the number of teeth), and create one tooth. This is then duplicated around the belt. I had to scale the tooth profile down a bit for a snug fit on the pulleys. Even though nylon shrinks, I didn’t need to scale the print. 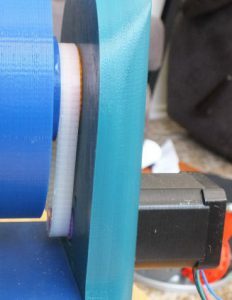 The size of the belt is designed for a 0.4mm extrusion width. 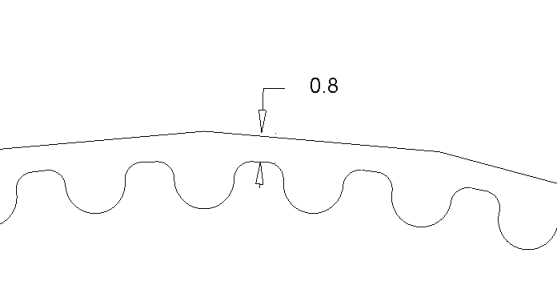 The belt thickness is 0.8mm, which means it is exactly 2 extrusions wide. So, how strong are they? No idea yet. The robot belt is the only one that is used regularly, but I forgot to add a belt tensioning mechanism, so it tends to slip under load.